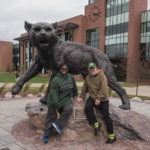 They had a good sized group join today. 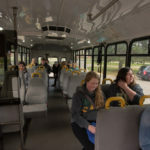 Marquette, MI – September 21, 2018 – For the last three weeks, Marq-Tran has been offering Northern Michigan University students free rides to local grocery stores. 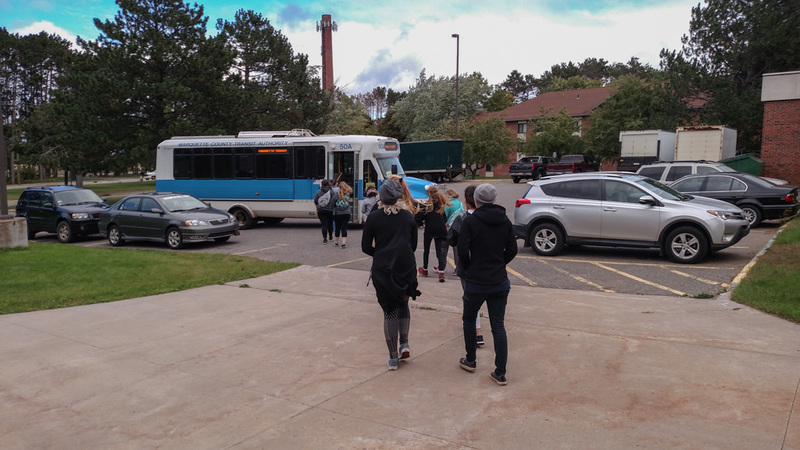 This week we stopped by NMU to talk to some of the students getting ready to board today’s bus to hear what they thought of the program. 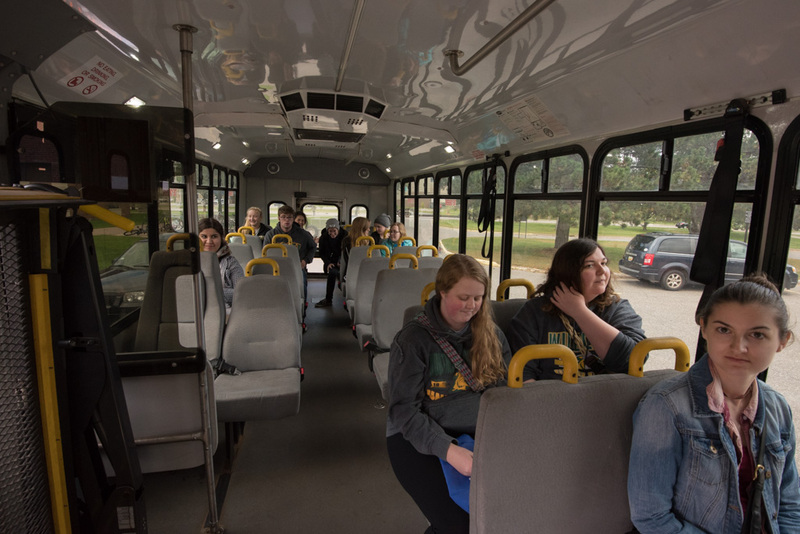 Each Friday, Marq-Tran takes two loads of students to either Meijer or Walmart. 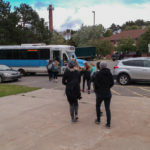 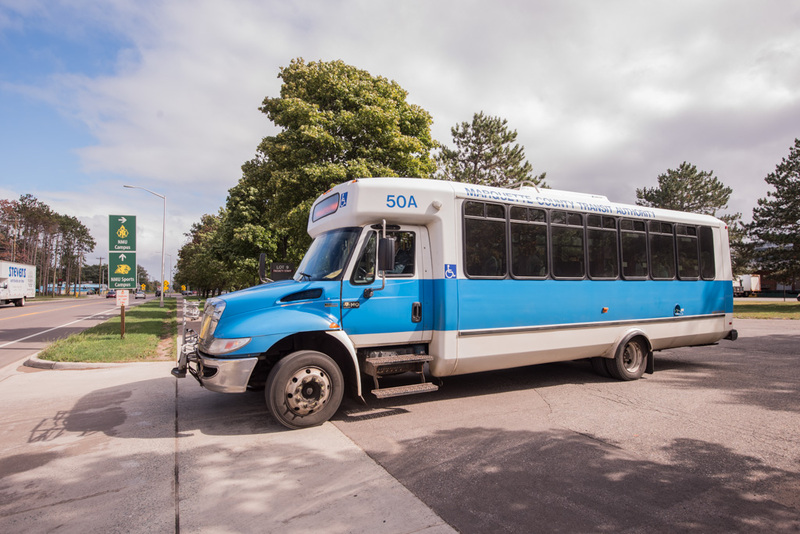 Students can board the bus from Lot #9 behind Hunt/Van Antwerp Hall off Wright Street on the Northern Michigan University Campus. 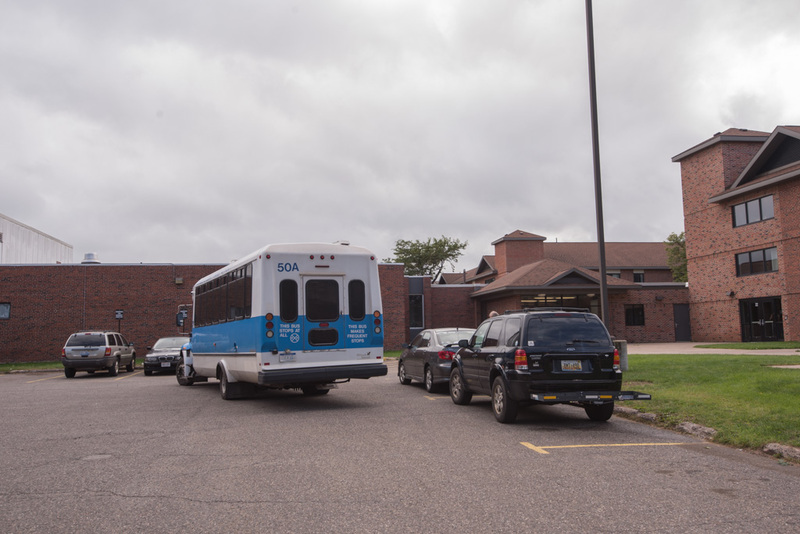 The bus takes off from the parking lot at 3:00pm and 3:50pm. 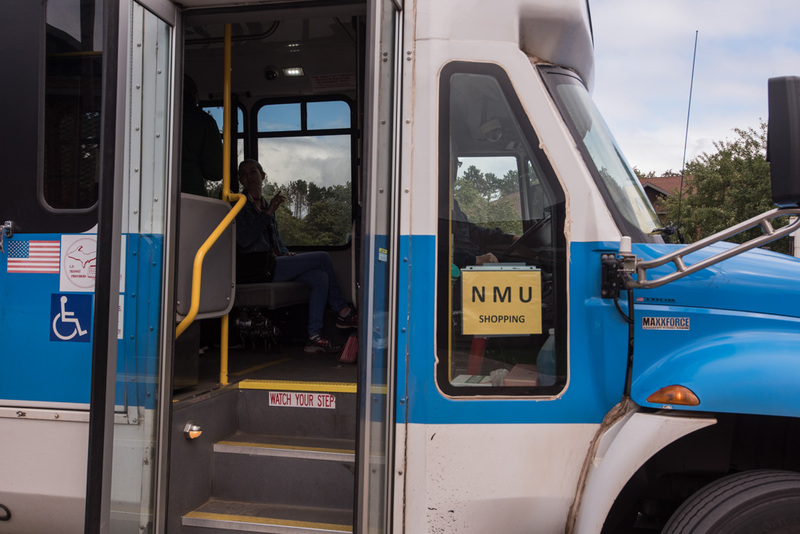 With just over an hour to shop, the free ride program is a special event to make shopping for the weekend easy. 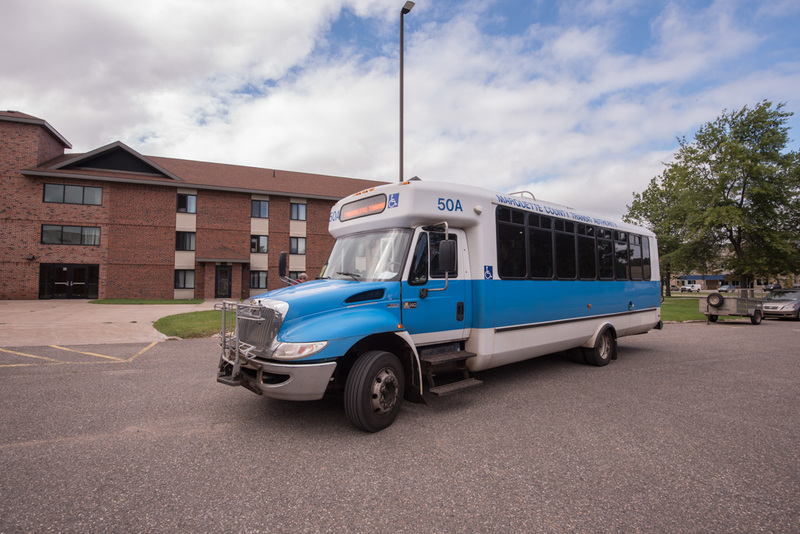 Even better, on the way back, the Marq-Tran bus will drop off each student at their dorm so no one has to haul their groceries all the way across campus! 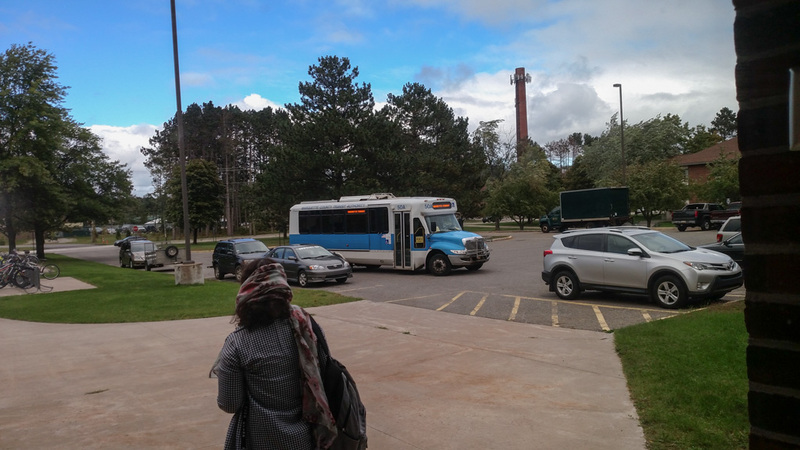 The bus takes off from Lot #9 at Northern Michigan University. 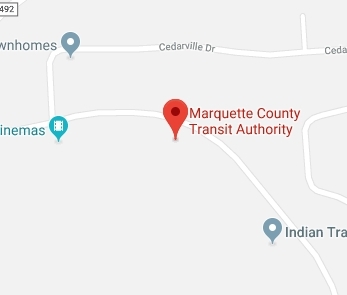 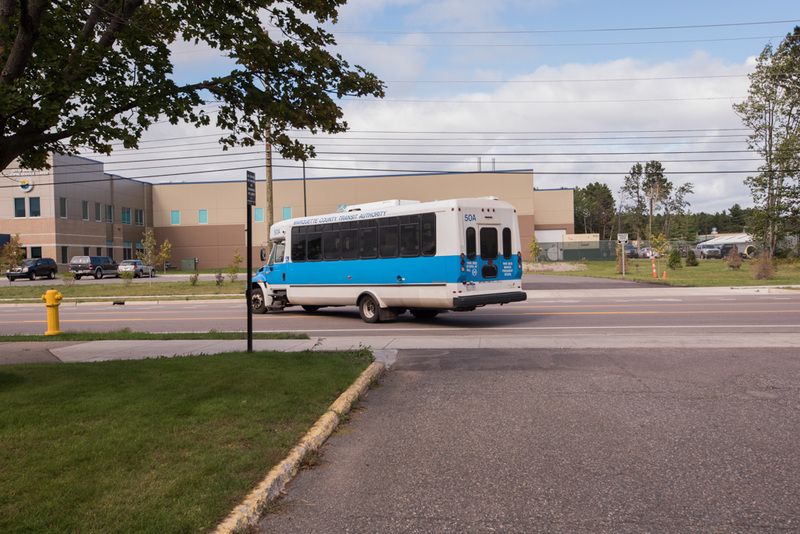 After talking with Northern Michigan University students and staff this afternoon, we found that people were excited and appreciative for the opportunity Marq-Tran provides. 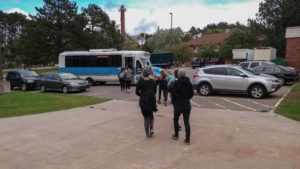 Many students at Northern do not have vehicles of their own making this event an easy way for students to pick up groceries for the weekend. 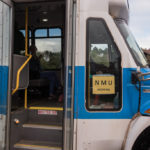 It also gives students a chance to learn more about Marq-Tran and how they can always get free rides by just showing the NMU ID. 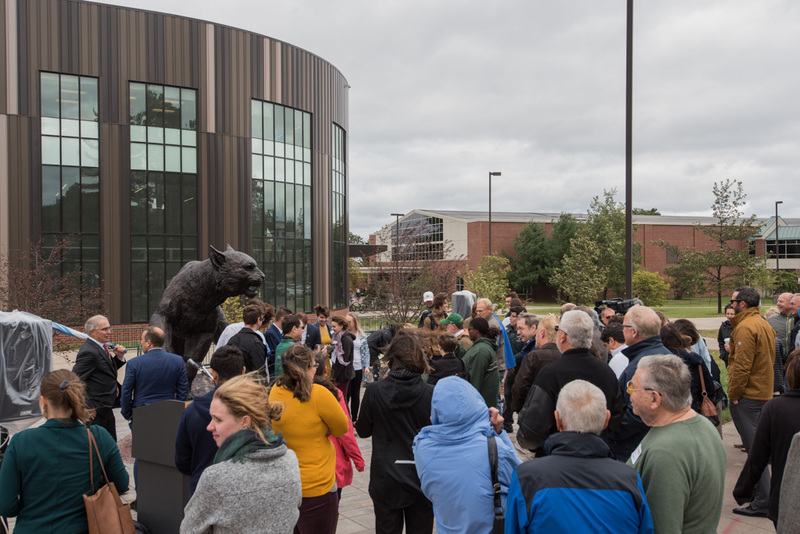 We also stopped outside of New Jamrich Hall to check out the Wildcat statue reveal! 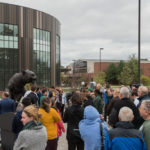 The bronze statue was made possible through a gift from the estate of former NMU Board of Trustees Chair and longtime NMU Supporter Gil Ziegler. 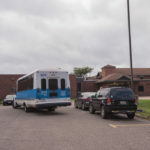 The Marq-Tran bus pulling out at NMU. 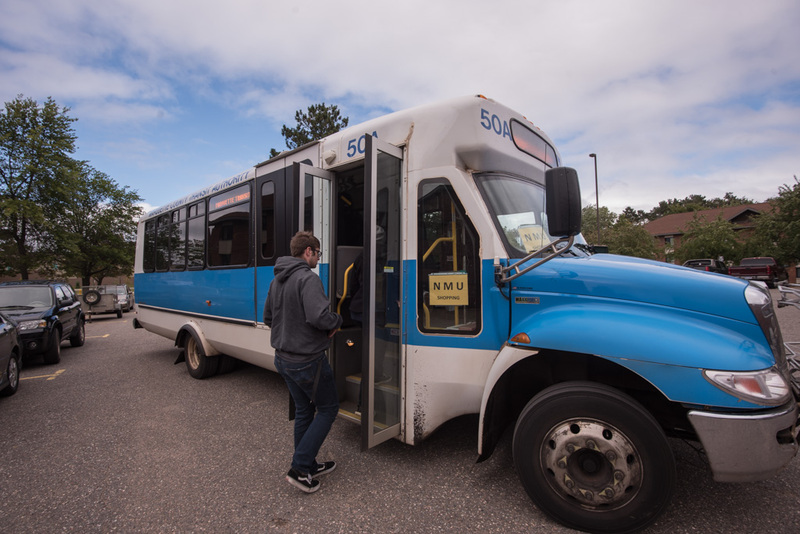 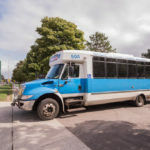 Marq-Tran provides free rides any time for all NMU students with ID. 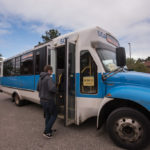 Getting ready to get out to Meijer and Walmart. All aboard to do some shopping! 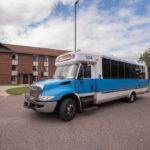 Thanks to Marq-Tran for offering free rides to Meijer and Walmart for NMU Students. 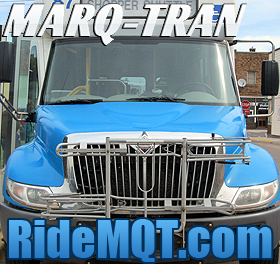 Thanks to Marq-Tran for offering free rides to Meijer and Walmart for NMU Studnets. 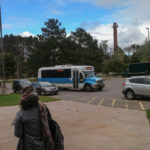 The bus waits for students just outside of Hunt/Van Antwerp Hall. 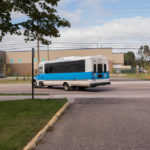 Off they go to Walmart and Meijer. 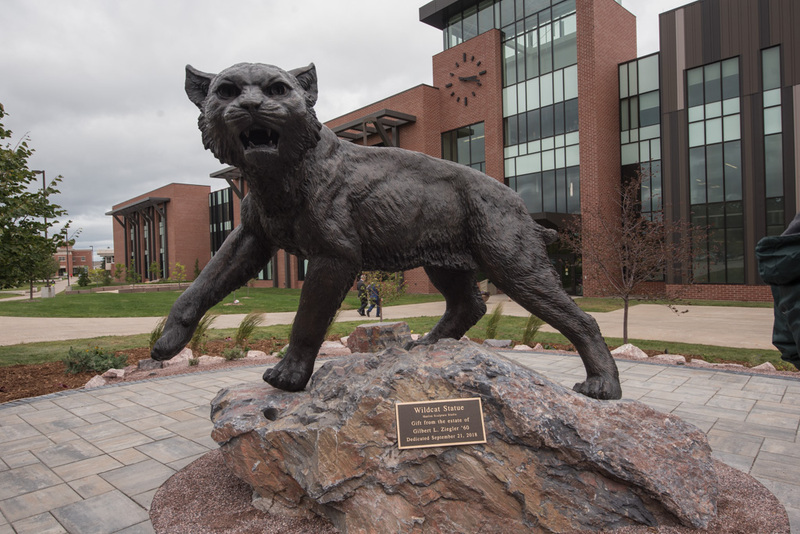 Walk by Jamrich and check out the new statue. 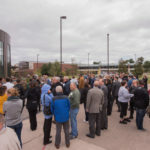 There was a large crowd in the courtyard today for the reveal. 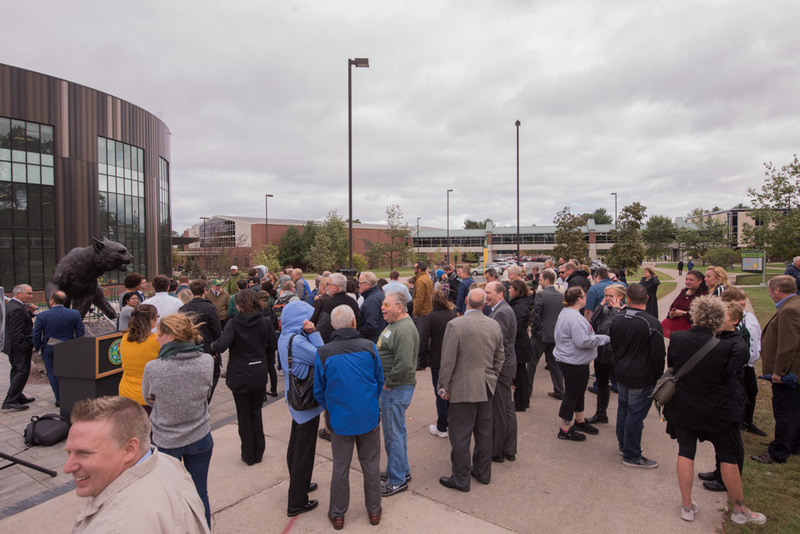 There was a large crowd in the quart yard today for the reveal. 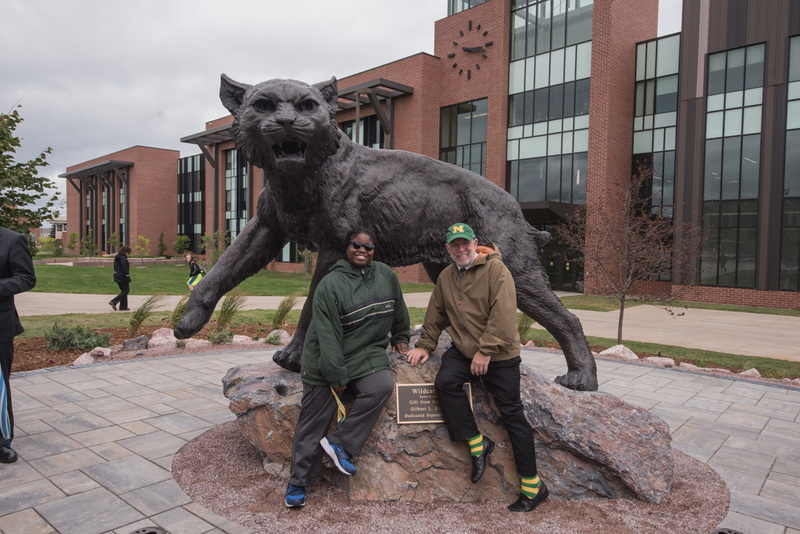 Northern Michigan University President Fritz Erickson showing off his NMU pride with some colorful socks. 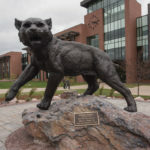 The bronze wildcat statue outside of Jamrich Hall at NMU.